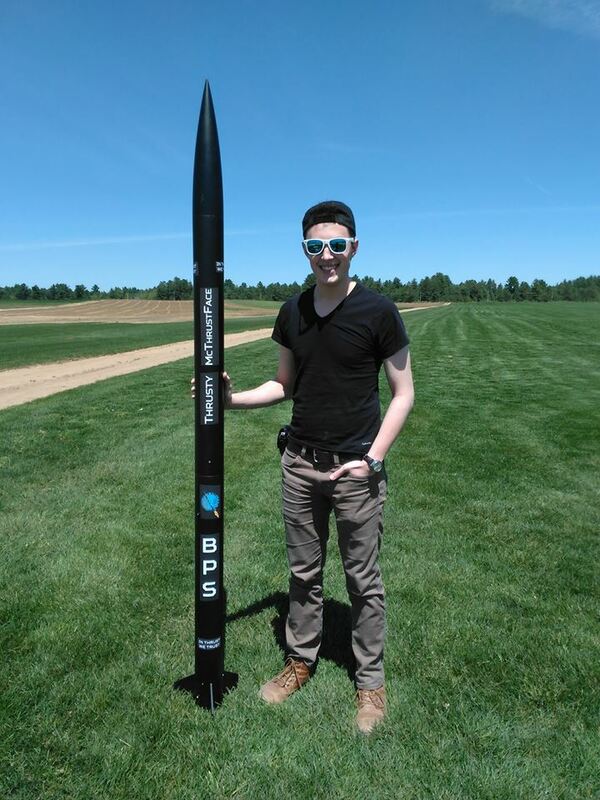 The weather was great today, and it was really a terrific launch up in Berwick, Maine. But a few of us really had bad luck, myself included. These pictures are not my rocket. But they are of the rather tragic fate of one CMASS member's beautiful Estes Mega Der Red Max, made even harder to take due to the rocket being out of production, and quite hard to find for a reasonable price these days. There are CATOs, and then there are CATOs, and this one was quite the CATO. I ran over to help stomp out burning grass, but those flames had already been taken care of by the time I got over there. While waiting for the water pump to arrive, I decided to snap a few pictures. I knew this had to be captured for posterity. Despite several attempts to snuff the rocket out on the ground, it kept reigniting, and only water managed to put it out. It's a sad fate for such a nice rocket, but on the other hand, it did smell amazing - like a campfire using only premium logs. All my launches went badly to middling today. I didn't have as expensive or irreplaceable loss as this one, but the photos below kind of encapsulate how I felt about my flights. But my friend Joe did successfully do his Level 1 High Power Rocketry certification flight. And I got to help him prep the rocket for it, so it felt like kind of a success for me. He broke in my new Jolly Logic Chute Release, which of course worked beautifully. So the day was still mostly good. If you saw the video that made the rounds a couple weeks ago of the "see-through" model rocket motor burning in slow motion, you may have noticed that, due to its simply being sliced in two and mounted on a flat piece of acrylic, it didn't burn the way it would if it were intact. For instance, flame shot out the sides, and the whole propellant grain burned at once, rather than burning from one end to the other. Well, that YouTuber is back, and here's his latest attempt. As a member of the National Association of Rocketry, I should say that, for safety, you should definitely not do this at home. Tampering with a black powder model rocket motor in this way can be very dangerous! But, since someone has done it, at least we can all see what it looks like, and it is fascinating. The Kuhn tube cutter is a simple tool designed by model rocketeer Howard Kuhn for cleanly cutting paper tubes to a specific length. I have two of these - a large one I built myself, and a small one from North Coast Rocketry. I love this tool. I could happily cut tubes all day with this. Here's a video showing how easy it is to cut with this thing. A 400% upscale Centuri Javelin, posted by Reddit user AscendingNike, who runs today's featured YouTube Channel. In addition to the new "Featured Vendor" series I recently started, I've been considering a "Featured YouTube Channel" series for a while. There are a lot of great channels devoted solely or mostly to rocketry on YouTube, and I keep finding more. Today's Featured Channel is a brand new one, and it looks like it's got some potential to be pretty exciting. It's called Ryan's Rocketshop, and can be found here. As of this writing, only two videos have been posted, but Ryan hopes to post a video per week. The focus of Ryan's Rocketshop is high power rocketry, but from a beginner's perspective. The idea is to follow along with Ryan and learn with him. Even though he's just now getting into HPR, his knowledge and building skills are really impressive, partly gained from building RC airplanes, and likely some time spent building smaller low and mid power rockets. The first video is the build and test flight of Ryan's Level 1 project, a 400% upscale of the Centuri Javelin model rocket. Another potentially fun feature is the Rocketshop News. I look forward to more building videos and lots of cool launch videos. I'm excited about a new channel, especially one that promises to explain things so clearly. I hope to pick up some tips from Ryan. Check it out. The centering rings of the SA-14 Archer fit a little too loosely on the motor tube. The instructions suggested that if that's the case in your kit, you can make the outer diameter of the tube a little larger by wrapping masking tape around it. The thing is, the centering rings and the fins will be glued to the motor tube, and I have rather cheap, low tack masking tape. I worried that if I did the tape method, it might mean my fins were attached by a rather weak bond. 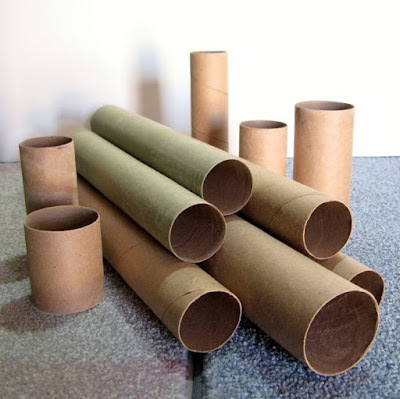 I'd read this post on Instructables.com on how to make your own Kraft paper tubes. As you probably know, Kraft paper is the material most model rocket body tubes and many mid and high power motor tubes are made of, and it's possible to roll your own. Rocket body and motor tubes are just strips of paper, built up layer by layer and glued in place. Enough layers make the tubes strong enough for a high thrust rocket motor. I decided to try this technique to add a layer or two of paper to the motor tube, making the walls just a bit thicker. With wood glue, the paper would bond to the tube very strongly, and the new paper surface would simply be part of the tube. And here's the finished motor tube. You can see how solid it is, and even though there are slight surface imperfections, it's quite smooth. If I'd gone too far with the wall thickness, I could now sand the tube down to get just the right fit. This turned out really great, and I'm glad I thought to try this. Trying it did make me nervous, but it was really much easier than I thought it would be. On more than one occasion, I've wanted to build up a tube or make it a little stronger. Now I have one more technique I can use should the need arise. 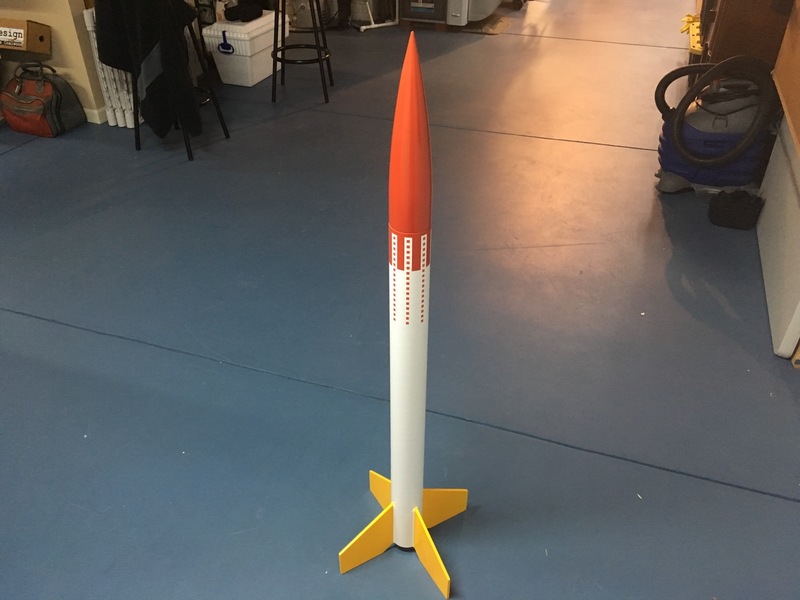 I recently received a little gift - one of the rockets on my wish list - from Matt Steele, of North Coast Rocketry. 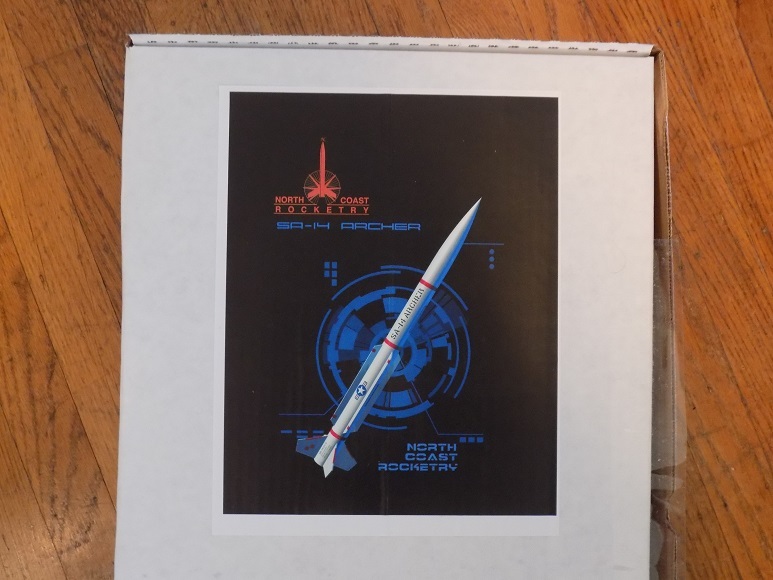 North Coast, who make mid power rocket kits and some accessories, is a sponsor of The Rocketry Show podcast, and as part of that sponsorship, Matt sent us some rockets to try out. I've had my eye on an SA-14 Archer for a long time. I'm doing a video build series on The Rocketry Show's YouTube channel. I started with the following unboxing video. I'm uploading the first build video later tonight, once I'm done editing. I needed to stock up on some rocket parts for an upcoming project, and I wasn't sure where to get them. I looked around at various sites, and found pretty much everything I needed, but not necessarily all from the same vendor. Then, I thought about checking a website I've used once or twice before, and which was great, but which I nonetheless never really thought of mentioning here on the blog. I went to Aerospace Specialty Products - ASP, for short. 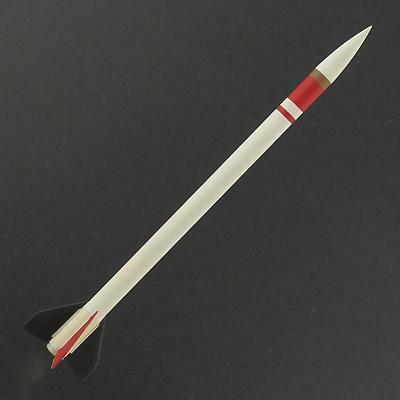 Like a lot of online vendors, ASP sells model rocket kits, parts, building supplies and materials, and recovery devices. But their specialty is scale model rocketry and competition rocketry supplies. While ASP does sell some of Estes' scale model kits, they have their own line, many of which come in low power and mid power versions. A good example of this is the D Region Tomahawk, a popular rocket for scale modelers, as it's both striking to look at and relatively simple. The ASP mid power D Region Tomahawk, over 42 inches tall. This is a kit that comes in two versions - a small one one for 13mm mini motors, such as the Estes A3-4T, and one for much larger, 29mm mid and even high power motors. The mini version of the D Region Tomahawk, just over 11 1/2 inches tall. A couple of nice features about ASP scale kits is that they are accurate in their proportions, but not heavy on detail. That means that a WAC Corporal or D Region Tomahawk will be shaped like the real thing, but a less experienced modeler won't have to worry about difficult to apply plastic wraps or features. More experienced modelers can add any details they want to - they'll just have to figure out how to do it, something experienced scale modelers enjoy anyway. 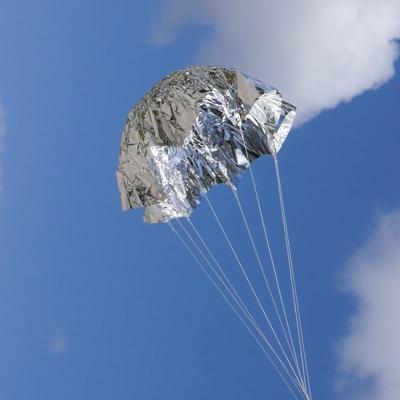 ASP sells a few styles of parachutes in nylon and metalized Mylar. The nylon chutes come in standard rip-stop and "thin mil" varieties, which pack up a lot smaller for fitting into smaller rockets. They're quite colorful. Mylar "sport chutes" are a bit harder to fold, but they have a couple of advantages. They're very lightweight, and they're so shiny they can help you find a rocket which has gone so high it's out of sight by the time it reaches apogee. The chute will glint in the sun, helping you get your eyes back on the rocket for a successful recovery. Metalized Mylar "sport chutes" come in silver, red, and purple. Sport chutes come with everything you need to attach them to a rocket, including a snap swivel, but they do require assembly. Apart from that, ASP also sells a wide variety of parts, which is what I recently purchased. I needed a lot of stuff to build a small fleet of Flechette rockets for an upcoming project on the blog. I was also low on centering rings, couplers, and other general rocket building parts. 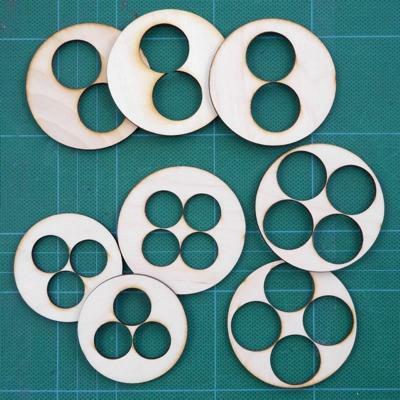 They've got a ton of great stuff, mostly for low and mid power model rocketry, but a few items you might use for high power, such as 38mm motor tubes, plywood centering rings, and even some large cluster centering rings, also made of plywood. I also have another small payloader project I designed a while ago, and want to get started on, Cassiopeia, for which I needed a balsa transition and some sturdy centering rings. I placed a large order, and was surprised by how affordable it was. A lot of items on ASP get cheaper if you buy a lot of them. When you shop around online, you want to consider a number of things. Price is the obvious one, but also shipping. Some vendors will offer free shipping if you order a certain amount of stuff. Others have a flat rate, period. And some calculate the shipping based on the amount of your order, so shipping for a lot of stuff is more expensive. ASP shipping costs a little more the more you buy, but this is offset by a couple of things - the lower price for buying in bulk I mentioned above, and the fact that the shipping is insured. If you buy things through a site like Amazon.com, whatever you order is guaranteed, meaning even if the post office crushes your package, or delivers it to the wrong address, or if the package gets stolen from your doorstep before you get home, you can get another one or get a refund. Small rocket vendors can't afford to make that guarantee, but the slightly higher cost of shipping means that you some insurance against loss should something happen in transit. When the box came - only two days after I placed the order - I thought there was a mistake. I had ordered 165 items, but the box was very small. But I opened it up and realized that everything had been packed with amazing efficiency and care. I realized after I started unpacking I should have taken a photo, but I couldn't repack this as well as they did. When you order stuff from a rocketry vendor, the first thing you want to do is unpack everything and verify that everything is there, and that there is no damage. If you do find that something is missing or damaged, don't freak out. Just send an email to the customer service department. You probably got an email confirmation from them about your order, and can reply directly to that email, especially if it's a small vendor like ASP, or JonRocket, or another. Larger companies, like Estes, have a contact page on their website, and you can contact them through that. 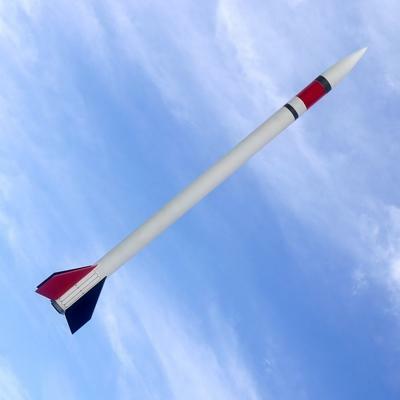 Most model rocket suppliers are small, mom-and-pop operations, and often, the "customer service department" who contacted you is the owner of the company. 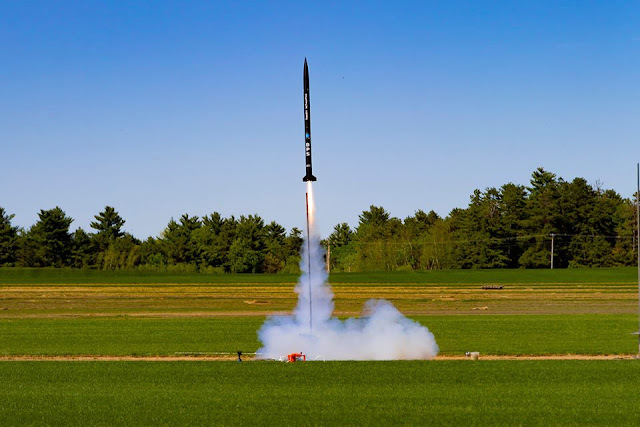 The rocketry community is a small one, and apart from a few exceptions, you will get excellent service from them. If they make a mistake, just let them know, and they'll often bend over backwards to make it up to you. They will usually ship you a new item, or offer you a refund, or sometimes offer you a credit toward your next purchase, depending on the situation. Once, when I placed a large, many-item order with JonRocket, one or two tubes were missing. It wasn't worth it to me at the time to have them rush ship me a couple of tubes, so they gave me a merchandise credit worth several times the value of the missing items to use on my next purchase. Here's what I got, neatly packed in layers, from ASP. Simple payloads for BT-20 rockets. I ordered four of these for my Flechette project. I need as many as 10 payloads. Some of them I'll make from tubes I already have, but I wanted to take a close look at these and see if I liked them. 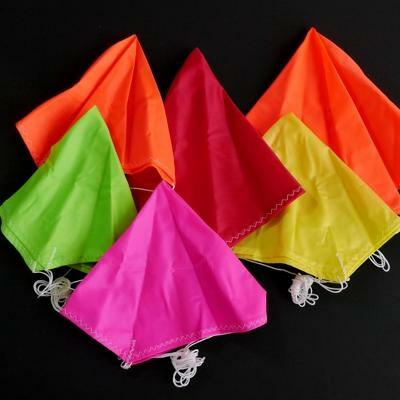 They include a 2.75 inch red paper tube, a balsa nose block, which is a solid piece acting as a bulkhead between the payload and the inside of the body tube of the rocket, plus a screw eye and snap swivel for attachment of the shock chord and parachute or streamer. Six more balsa nose blocks or bulkheads. The original idea was just to purchase these, and use leftover motor tubes from some Estes kits as payload sections. The motor tubes are exactly the same size and diameter as the red tubes in the simple payload kits from ASP, so these should be indistinguishable on the finished rockets. This is for joining the 1.325 inch diameter airframe of Cassiopeia to the 1.637 inch diameter payload tube (see above design). This is a finely turned piece of balsa, and one of the things that strikes me is the difference between the diameters of the shoulders (the parts that go into the rocket tubes) and the diameters of the two ends of the transition itself. A lot of balsa parts I've used - nose cones and transitions alike - have a much bigger step from the outer diameter of the piece and the diameter of the shoulder. That means that the nose cone or transition is a little too wide for the body tube, so that they don't quite join up. There's a bit of a step from the nose cone or transition onto the body tube, rather than a smooth line. Ideally, for less drag, you want them to match. This transition looks like it should be pretty close, so I won't have much extra sanding to do. It's lightweight and delicate, and I just love looking at a piece like this one. It always makes me a bit nervous handling a raw piece of turned balsa like this, because it feels so fragile. It feels like it would be so easy to accidentally gouge into it or squeeze it out of shape. 48 1/8 inch launch lugs, 1.25 inches long. Here, I thought they had made a mistake, but I counted them, and they're all there. I really only need 10 of these for now, for the Flechette project, but they were so cheap when buying in bulk, I decided to get a ton. Now I'm not likely to run out any time soon. A bunch of centering rings. 40 in total! Some of these will be the thrust rings or engine blocks inside Flechete, most will get used in other projects. I really like the plywood centering rings for BT-50/BT-60. I hadn't seen those before - they're pretty lightweight, but sturdier than fiberboard or card stock rings. Those will get used in something needing a bit more strength - maybe a rebuild of Ceres B.
Ceres B, my hidden camera payload rocket. A sturdy workhorse. These are for attaching parachutes to mid and high power rockets. You can get them in any hardware store, but most hardware stores in Boston are expensive places with small selection, so I got a few of these through ASP. I got multiple tube couplers for all the Estes-standard tube sizes I use most frequently. Couplers are useful for a lot of things - making longer rockets by joining two or more tubes together, making booster sections for turning single-stage rockets into multi-stage rockets (the coupler gets glued into the booster and is how you join the booster to the rocket), strengthening tubes for cutting or drilling into them (slip a coupler inside where you want to cut or drill, and the tube is less likely to get crushed), even masking off parts for painting (couple a scrap of tube to the rocket you're building, and you can keep all paint out of the motor mount area - very important if you want to attach a booster later!). I was low on couplers, and they were really cheap. Also, they packed them very well, stacking couplers inside couplers - this is why the box was so small! 165 small items, fast shipping, perfect packing, and not a single counting error - pretty darned good! ASP will definitely be on my short list of go-to suppliers.